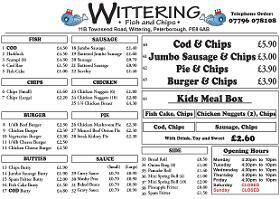 Wittering Fish and Chips. Under NEW management. Will reopen on the 9th November 2016.